data warehouse >> database designers ended up answering questions, not business (what we saw even with some flavors of analytics engines). Lots of talk about supporting diverse data (XML, JSON) - this is an issue we saw with Microstrategy versus Datameer, the ability to JSON_VALUE out values stored in semi-structured fields. Learning that you can just "pause" SQL Server (Microsoft) is pretty cool. Our ElasticSearch nodes require spin up/spin down time that's almost impossible to avoid / implement with our schedule. Redshift (AWS) got very low scores. Addressed: Robustness of SQL, Built-in optimization (cost versus rules based), On-the-fly Elasticity (an issue for us to scale up/down), dynamic environment adaptation, Separate of compute from storage (huge....really huge), and support for diverse data. 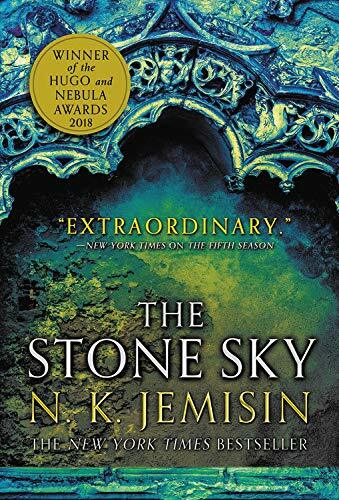 (BOOK) 1/25/2019: The Stone Sky: The Broken Earth Trilogy 3 by N.K. Jemisin, 2017. 464 pages. 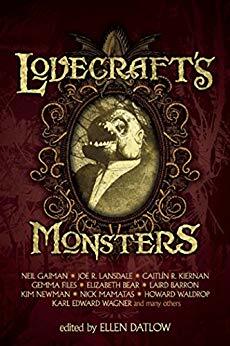 (BOOK) 1/23/2019: Lovecraft's Monsters (edited by Ellen Datlow), various. 432 pages. Solid tale with a noir Cthulhu bend. I remember having some aspect of this excitement pulling together a number of technologies to create something new when I worked more closely with technology. I don't think management always gives one the right tools/time to be creative unless you're approaching it as a way to "think big" and write a book or teach others. But garbage - noise - gets in the way. Process, source control, the minutae of stories rather than the bigger driven set of features. threshold theory, which holds that above a certain level, intelligence doesn’t have much effect on creativity: most creative people are pretty smart, but they don’t have to be that smart, at least as measured by conventional intelligence tests. An IQ of 120, indicating that someone is very smart but not exceptionally so, is generally considered sufficient for creative genius. divergent versus convergent (one answer) thinking - she notes that this doesn't necessarily explain creativity because both may be forms of creativity. Many forms of creativity, from writing a novel to discovering the structure of DNA, require this kind of ongoing, iterative process. One difference between a great writer like Shakespeare and, say, the typical stockbroker is the size and richness of the verbal lexicon in his or her temporal association cortices, as well as the complexity of the cortices’ connections with other association regions in the frontal and parietal lobes. Many creative people are polymaths, people with broad interests in many fields—a common trait among my study subjects. 1/21/2019: Ravens Are Evolving, and Not in the Way You'd Expect: Instead of branching into new species, raven groups experienced something called "speciation reversal." “What were once two distinct organisms can collide and become one, weaving their previously distinct genomes into a single tapestry. It's a complex but beautiful work of nature, really." 1/20/2019: Many Voters Think Trump’s a Self-Made Man. What Happens When You Tell Them Otherwise? "estimated that over the course of his lifetime, the younger Trump received more than $413 million in today’s dollars from his father." "Many Americans were and remain misinformed about the central aspect of Trump’s business career, which was his sole credential in his bid for office." "the practices of even serious journalists may not always produce an informed public"
"As we enter the 2020 cycle, reporters and campaign workers may assume voters know about all sorts of things that they don’t. But our research shows that the basic information plugged-in elites take for granted is not known by many Americans, and can be consequential in political evaluations." Interesting how humans are still tied to mythologies and the need to believe in them. Trump as the anti-Arthur. Or, perhaps, Arthur, given how dubious some of that king's policies were. That would be a fun mash up. On Henry Marten: "For instance, he thought of the name of the body that would face the king: ‘the Good People of England’. That’s a very clever construct, because to take a king to trial you had to set up something fairly worthy." Re: one of the regicides, Harrison: "After he had been hanged, resuscitated and castrated, and while he was being gutted, he managed to swing a punch at his executioner." [There's a variation of this in my own company for subs and what happens during an economic downturn] - Subscription services flail if they lack a “funnel” – a loyal group of “free users” the service can persuade to start paying. Subscription services must cope with the dreaded “churn” – viewers who sign up for a subscription but leave. Free services seldom have to deal with churn. But if subscribers stick around after a few months, they become unlikely to churn. The subscription turns into a normal monthly expenditure. That resilience matters greatly when the economy slows down. During the 2008 recession, Netflix and Amazon Prime held onto a large percentage of their subscribers. [This surprised me - that's damn accurate] Content ID boasts a 99.7% accuracy rate at identifying uploaded videos. It compares anything uploaded against a vast reference file. More than 50% of YouTube’s payments to the music industry derive from ad revenue on fan-uploaded videos. Trumppunk, unlike Cyberpunk, does not have mirrorshades, because Trump looks directly at the sun. "Literary agent Jonny Geller explains that the “commercial view among publishers seems to be that people are living it [Trumpism] and haven’t got the head space for reading it. . . . It is a lack of courage and imagination” "
I remember when Troy Hunt wrote semi Microsoft-centric security papers over a decade ago when I was a tech coach on the lawschool project. His first in depth delineation of security concerns was a bible to me for a while when we started hardening our application. I think credential stuffing (same password multiple accounts) might be how my microsoft account was breached for a few moments before I MFA-ed it and changed passwords. 1/16/2019: (TRAINING) Code Freeze 2019 at the University of Minnesota all day. I'll cover in a separate post - some great presentations on Machine Learning. not enough detail in the article - my wife and I watched the series when it was originally out and it was favorite for my friend Dan, who died last year, and me to talk about. I remember how frustrated he was when an episode was moved. 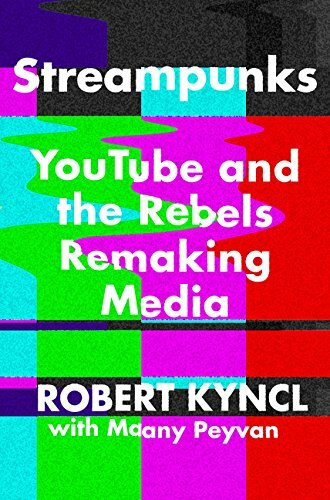 Moreover, as SF scholar Sean Guynes-Vishniac argues, publishers always want to find evermore-narrowly-sliced microgenres, hoping to squeeze every aesthetic niche dry. At its root, then, cyberpunk is arguably a kind of fiction unable to imagine a future very different from its present. I had no ideas about the Frazzle conspiracy nonsense. Damn that's dumb. "The platform’s recommendation engine adds the power of repetition, allowing similar claims — no matter how preposterous — to be served again and again to people who show an initial interest in a subject." Well, not many details. But the notion that the scientist who's proposing a universe where time runs backward is called Turok. That's funny. Counsel for CBP has cherry-picked legal precedents to produce a kafka-esque litany of excuses for stops, including being close to the border, being on a "known smuggling route," driving "inconsistent with local traffic patterns," being "from out of the area," having a covered cargo area; paying "undue attention to the agent's presence," avoiding "looking at the agent," slowing down on seeing the agent, being dirty, etc. Maybe my favorite in the book. 1/2/2019: Watch “The Midnight Parasites,” a Surreal Japanese Animation Set in the World of Hieronymus Bosch’s The Garden of Earthly Delights (1972) - a weird 9 minute video that does do a pretty good job of capturing the feeling of the painting in some ways. 1/1/2019: Was There a Real King Arthur?